Canadian country music fans are listening to and talking about the sound of Canada's country sensation, Rick Tippe. Fans who have seen him perform live know that the claim of Rick Tippe being the most exciting performer north of Garth Brooks is justified. Those who have witnessed these show stopping performances either at music festivals, on major concert tours or when they've been part of an intimate club crowd, know that Tippe delivers the goods. Over the past few years, Rick and his band "The Party Down Posse" have crossed the nation with one of the busiest tour schedules in Canada. He has shared the bill with several of country's biggest stars including Mark Chesnutt, David Lee Murphy, Terri Clark, Tracy Byrd, and Sawyer Brown. Headlining and sharing the stage with artists like Jo Dee Messina, Brooks and Dunn, The Dixie Chicks and many, many more...Rick's tour schedule has taken him around the world, including the United Kingdom, Australia and the United States. Rick is on an amazing streak. All of his last 18 singles have been TOP 40 Hits on the Country Music charts in Canada. From Rick's debut album "Should'a Seen Her Comin'" there were 6, "Get Hot Or Go Home" another 6, from "Shiver 'n' Shake" 4 singles broke into the TOP 20 with the title track reaching Top 10. On Rick's latest release "The Best Of Rick Tippe" the first 2 singles hit the Top 20. Rick's latest single, "The Future Is Lookin' Brighter", was just released October 15, 2001. 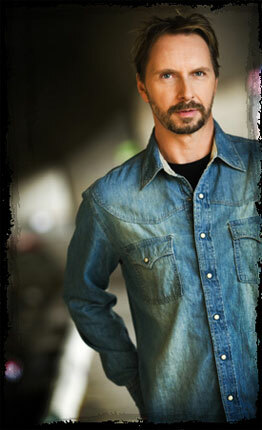 Rick is well known for his 11 Music Videos that have been airing on CMT Canada for the past five years. Rick has also appeared on some of CMT's specialty programs including "One On One", "Inside Country" and the "CMT Request Line". He has been interviewed and performed on countless television shows over the years. In 1998, Rick won his first CCMA Award for Independent Male Vocalist of the Year and in 1999 he picked up his fourth consecutive BCCMA Male Vocalist of the Year Award. In 2000, Rick once again took home the hardware, winning an unprecedented five awards including the International Achievement Award. This year the BCCMA presented Rick with 6 Awards. The media is no stranger to the growing frenzy over Rick Tippe. American publications like Country Weekly, with a circulation of two million readers, ran a four-page article on Rick and country dancing. In Canada, Country Wave, Country Music News and Traditions Magazine have all put Rick on their respective covers, while numerous other magazines and newspapers in Canada continue to cover Rick Tippe's rise to prominence. If that isn't enough, Rick's fans have jammed the Internet with tidbits of information on their favorite country performer. Known as one of the hardest working performers in the business, Rick Tippe will spend 2002 touring across Canada appearing in concert halls, arenas, rodeos, night clubs or anywhere else people are willing to gather and enjoy his show. The electricity of Rick Tippe's live show and the strength of his CDs and Music Videos has not gone unrecognized and can only be described as a stepping stone for what has already become a decorated career for Rick Tippe. Noteable Entertainment & Events is a Vancouver based booking agency, party rental, entertainment services and event production company. If you are interested in booking Rick Tippe please contact us.